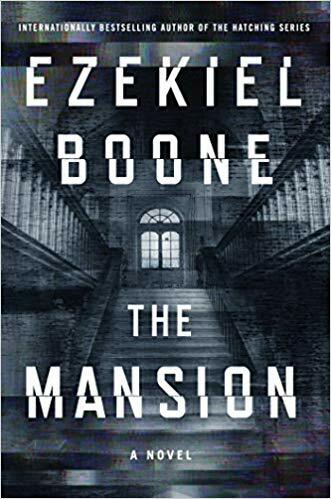 The Mansion is haunted by ancient prohibition-era ghosts who seem to have possessed the house’s personal assistant, Nellie. The only hope for the inhabitants are psychic twin seven-year-olds conceived on the estate. Billy and Shawn were best college buddies who spent the two years following college living in a rural hovel near Shawn’s family’s ruined inn in upstate New York. While there, they tried, and failed, to develop the world’s first intuitive personal assistant they nicknamed Nellie. Instead, they developed the first non-binary programming language, Eagle Logic. When Billy runs off with Shawn’s girlfriend, Emily, Shawn becomes a famous tech billionaire similar to Steven Jobs. Billy marries Emily. He then sues Shawn for his share in the creation of Eagle Logic, and loses. Billy begins to drink heavily bankrupting his family until he is forced to enter rehab. Ten years after initially leaving the hovel and almost two years sober, Billy is summoned by Shawn. Shawn has remodeled the inn into a modern resort called The Mansion and added an ostentatious personal living space called the Nest. More importantly, he has completed Nellie and installed her throughout the Nest. When Shawn asks Billy to fix a few bugs in Nellie while staying isolated in The Nest with Emily over the winter, Billy is quick to accept. Especially after hearing how much money he will make even if he can’t fix Nellie–$50,000 per month tax-free. There are three parallel plots: present day with Nellie, the time when Shawn and Billy were living in the hovel, and Shawn’s youth in the now burned caretaker’s cottage. It is fascinating to see them twist around each other as the conclusion is reached. The Mansion is marketed as a horror thriller, where the horror is driven by technology. However, I think it is better described as three, almost gothic, mysteries. There was much more an atmosphere of dread rather than true horror within these pages. Also, the pacing is too slow and syrupy for a thriller. It’s more Daphne Du Maurier than Stephen King or Michael Crichton. 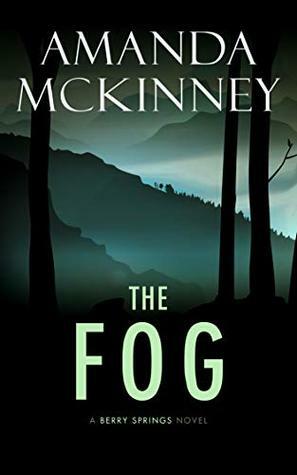 Therefore, it is recommended for gothic mystery fans who want to read something more modern than rain swept cliffs and foggy downs. 4 stars! 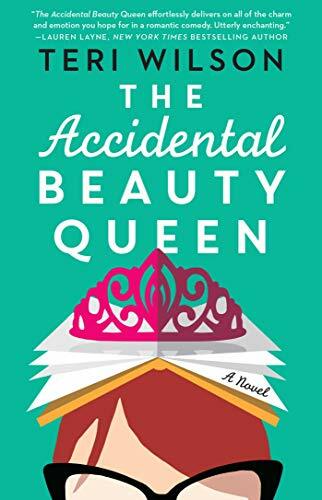 Thanks to Emily Bestler, Atria Books and NetGalley for an advance copy in exchange for an honest review. A brief look at Project Management Essentials using the sixth edition of A Guide to the Project Management Body of Knowledge (PMBOK) as a map of how to proceed. Included within the Initiating process is selecting the right project even before the project begins. Project scope, cost/budget, scheduling, staff selection and risk management are all determined during the planning stage. During Closing, lessons learned are notated so negative results will not be repeated and positives will. 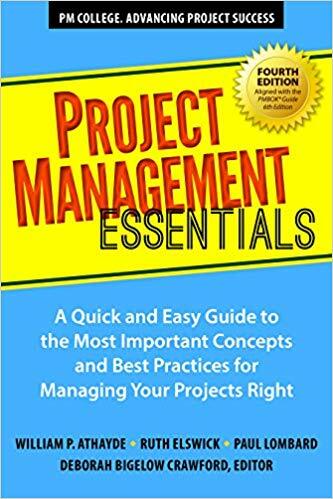 Project Management Essentials has many great examples of how little things, like having a “change pot” to limit how many changes may be made, can save future project managers aggravation. It is also much easier to read than the more technical PMBOK. Project Management Essentials is a great resource for practical advice for how to run your next project and achieve the expected results in the least painful way. 4 stars! Thanks to Maven House and Edelweiss+ for an advance copy in exchange for an honest review. 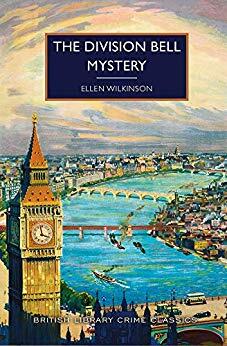 Set in the houses of Parliament in 1932, when it was also written, the Division Bell Mystery is the first mystery written by a female member of Parliament. Someone is murdered. However, the focus is on British politics. Not being British, I had a hard time following the story. Those familiar with Parliament might enjoy the intrigue. However, I didn’t think the mystery was good enough to wade through all the politics. It is more of a curiosity than a good read. 2 stars. On March 11, 2011, a 9.0 earthquake struck eastern Japan. It was followed by a 45 foot high tsunami. After the water left, miles of land were contaminated and 15,870 were confirmed dead. 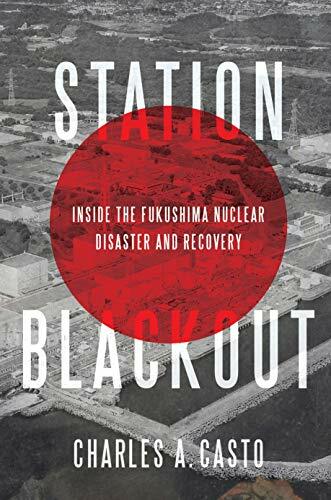 Station Blackout is the story of what happened within the two nuclear plants most impacted by the disaster. Station Blackout is four tales smashed together. It is an autobiography of the author’s career working with nuclear energy. It is a memoir of the author’s time in Japan immediately following the tsunami. It is an almost minute-by-minute account of what happened during the earthquake, the subsequent tsunami and the mitigation efforts that were made. Finally, it is a story of four leaders, how their leadership had to flex with the changing conditions, and how being calm might have prevented an even larger disaster. The first two tales were boring compared to the last two. They seemed in the book more as filler than anything else. However, the last two stories were spectacular. They read like a Tom Clancy or Clive Cussler adventure tale. The reader is placed in the seat of the leaders of the Fukushima Daiichi and Daini plants. Would you have the strength to destroy the reactor even though your company’s leader as well as your nation’s government is telling you not to do it? Even if it could overt a nuclear meltdown and subsequent nuclear fallout for miles around the plant? The 1980s movie China Syndrome had a frantic Jack Lemmon trying to prevent the exact same thing in America. The scariest part is that this story is real! Even though Station Blackout is non-fiction, it is a great choice for thriller readers. Just skim the autobiographical details and don’t read the Introduction if you don’t already know details about what happened. 4 stars! 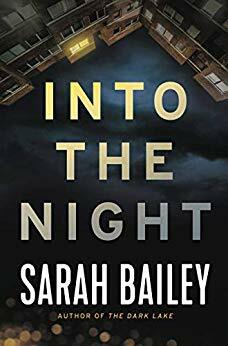 Thanks to Radius Book Group and NetGalley for an advance copy in exchange for an honest review. Deep War is a war where everything is at stake—think the Somme or Stalingrad. China has intervened in a skirmish between India and Pakistan. When the United States sent in a carrier battle group, China destroyed it with a nuclear bomb—killing all 10,000 people aboard. It’s now year two of the war. In the US, the first and second amendments have been suspended as well as habeas corpus. A full draft has begun that includes woman for the first time. Due to Chinese hackers, only face-to-face and paper communications can be trusted. The US is seriously considering a confined nuclear solution. Later, China unleashes a new tech solution—an artificial intelligence called Jade Emperor that anticipates every move made by China’s enemies and how to counter them. There is also a renegade Navy Seal recruiting and training homegrown troops to infiltrate China on the CIAs behest. 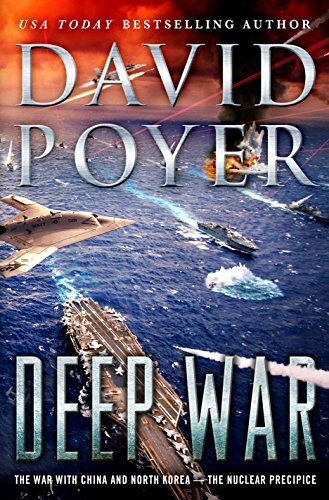 Deep War is the 18th entry in the Dan Lenson series. However, it can be read as a stand-alone novel. It has something for everyone: military strategy, politics, and low and high tech solutions to war. This book is highly recommended for those who enjoy military fiction but also those who like tech will enjoy it. It is scarily true to life. 4 stars! Family secrets abound in Murder at the Mill. Painter Iris rents a cottage on the grounds of famous mystery writer Dom’s large Hampshire family estate. Iris is deciding what to do about her verbally abusive husband and failing marriage. When Ariadne, Dom’s wife, hires Iris to paint his portrait, Iris is happy to comply. However, when Dom is found dead in the river, the police believe it’s suicide. Iris cannot picture the vain and self-centered author taking his own life so she investigates. Iris is a refreshingly new detective. She uses her eye for visual details to solve the crime. However, Murder at the Mill cannot be compared to the tightly plotted Agatha Christie books. The author never used one adjective when a ten-word simile could be used. Every character has a multitude of secrets that are repeated over-and-over throughout the book. The plot goes down dead ends without explanation. This is the first book in a new series. I would read another just because of Iris. I pray the editing will be better in the next entry. 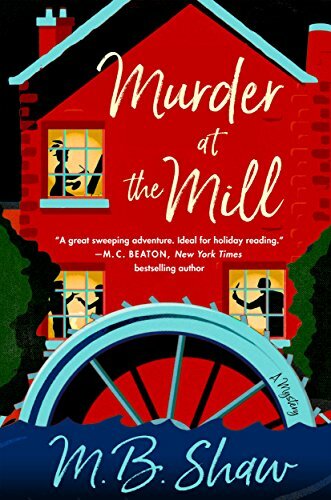 Murder at the Mill is recommended for readers looking more for atmosphere than plot. 3 stars! It’s 1969. Bryant and May are tasked with keeping a witness safe at an English Country House weekend. Unfortunately, the Army has closed the only exit road due to war games. There are nine suspects and more than one potential victim in this Hall of Mirrors. 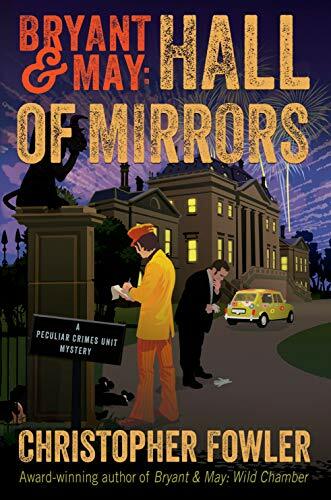 Hall of Mirrors is the fifteenth entry in the Peculiar Crimes Unit series but the first I’ve read. It is a perfect entry point because it is a prequel of one of Bryant and May’s early cases. London in 1969 sounds like a groovy time, man. The setting of hippies, eastern spirituality and old staunch England all collide with humorous results. This book includes everything but the kitchen sink: mythical creatures, WWI heroes, innovative murder methods and motives. The conclusion was fabulous. 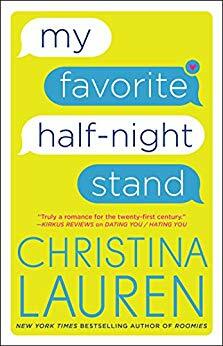 I loved this book and will be looking for more from this series. It is highly recommended to armchair detectives and anyone looking for a challenging mystery. 5 stars! Thanks to Ballantine Books and NetGalley for an advance copy in exchange for an honest review.